I’ve worked on several collaborative pieces in the past and always found it beneficial in so many ways. Having to explain, discuss and adapt ideas with different people, sometimes working in different media and in unfamiliar environments can help develop and further my own practice as well as inform other peoples. 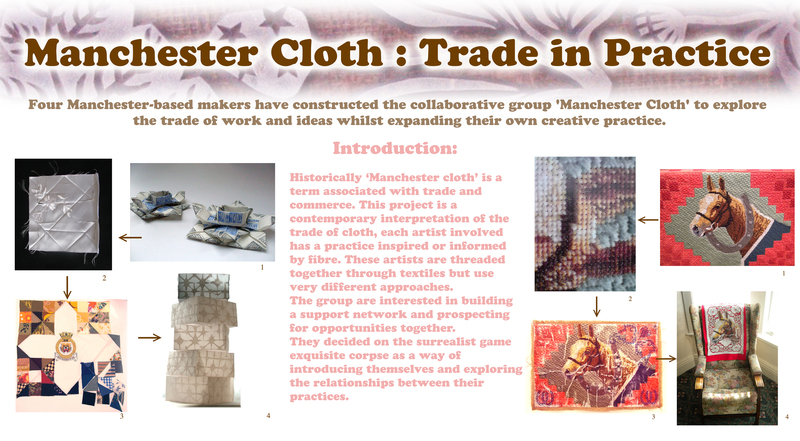 I think it’s such an important part of my own creative life that I am currently part of two on-going collaborative groups; Manchester Cloth and Birds Animations. Birds Animations comprises of myself, animator Annie Gibson and musician/songwriter Katell Sevellec. In 2010 we worked together to produce a short animation. Working to a soundtrack written and performed by Katell that was inspired by the stitching of my embroidery machine, we built props and created characters together all animated and edited under the directorial eye of Annie.